Wedding Dress Wednesday - Kenneth Pool "Aria"
One word - OPULENCE!! This gown has it! A stunning silk satin ball gown in ivory with antique crystal beading. This beautiful strapless gown also features a bustle train and a pleated bodice. Beautifully detailed beading and full skirts are a Kenneth Pool signature and this gown would make any bride feel like royalty on her wedding day! To slip into this luxurious gown, please contact us via email or by phone at 704.443.2988. 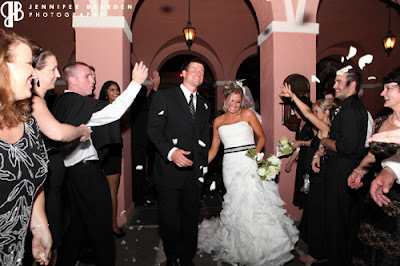 Ashley said "I do" to Nate on October 9th, 2010! She wore a stunning fit-to-flare organza gown by San Patrick. 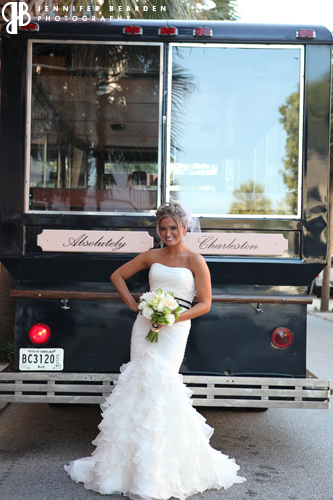 Ashley worked with SheaNichole Designs to create a custom bridal sash that accented the gown and incorporated the overall color scheme. She also accessorized her look with a birdcage veil and rocking chandelier earrings! Here is a sneak peak from their awesome photographer Jennifer Bearden, who captured the wedding day perfectly! To see the full post featuring more wonderful photos, please visit Jennifer's lovely blog full of amazing wedding eye candy. *all images are copyright protected by Jennifer Bearden Photography. Please do not reuse or alter these images in any way. If you would like to use these images, please contact Jennifer. 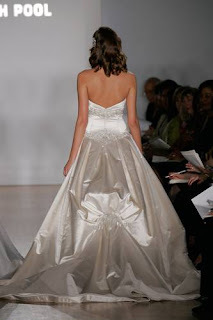 Wedding Dress Wednesday - Melissa Sweet "Anya"
This is a dazzling gown from Melissa Sweet! I have been in love with the "Anya" gown since it first hit the runway several seasons ago and now we are lucky enough to have a NWT "Anya" on consignment! The perfect gown for a lavish look! I can't even begin to explain the detail put into creating this gown. The strapless silk taffeta is covered in verdino (silver) laser cut appliques and then hand beaded with rhinestones, pearls and crystals throughout. 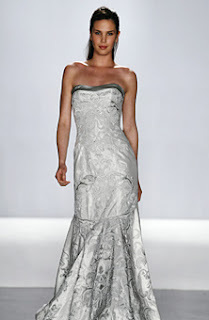 Verdino silk satin lines the neckline, skirt hem and train. A modern fit-to-flare silhouette mixes glam and formal elements to create the perfect combination. This gown has never been worn or altered and is in great condition. Interested in slipping into this amazing gown?? If so, contact us via email or by phone at 704.443.2988. Like this style but want to see our full collection? Visit our website for more stunning bridal styles. Just Listed - Modern Trousseau - "Lena"
We have now added a gown to our consignment collection from one of the most sought after bridal lines, Modern Trousseau! This beautiful silk taffeta gown is the perfect mix of modern and classic. Modern elements like the soft trumpet silhouette, the double spaghetti straps on the back bodice, and the large self tie sash compliment the classic V-neck and French Alencon lace details. Soft lace scallops peek from behind the deep V-neck while the double straps flow into an illussion lace back bodice. This lightweight gown is complemented with a chapel length train. Perfect for an indoor or outdoor ceremony, any bride in this gown is sure to wow! To schedule an appointment to slip into this beautiful gown, please contact us via email or by phone at 704.443.2988. 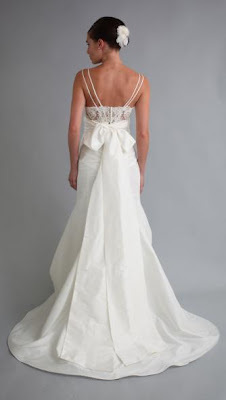 This elegant bridal gown is a lightweight silk shantung trumpet silhouette by Paloma Blanca. This is a NWT boutique sample in excellent condition. Never worn or altered. This gown is a classy V-neck with ruching from the empire seam to the high hips. This gown is figure flattering and classy. Covered buttons line the back of the gown from the top of the zipper to the end of the chapel length train. Delicate crystals, rhinestones and pearls trim the empire seam for subtle glamour. 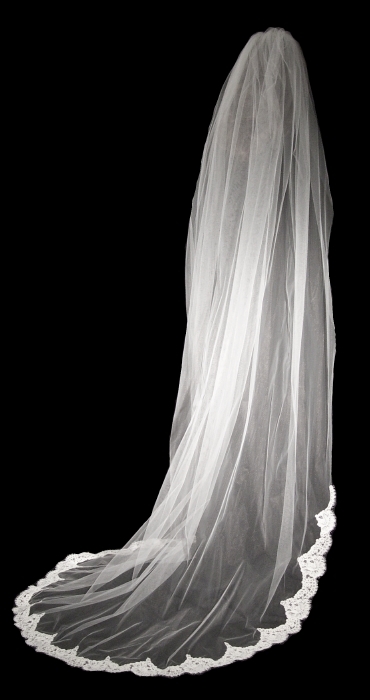 For a complete look consider adding a floor length veil edged in French Alencon lace. For jewelry, consider a pearl and rhinestone stud earring. See below for ideas. Visit us to sample this look and the many other styles that we offer! Our designer gowns are guaranteed to wow you! For more information or to schedule a time to join us for a day of shopping, please contact us via email or by phone at 704.443.2988. Happy 1 Year to E.G. Couture! A year ago today we officially opened for business! It has been a super sweet year filled with parties, trunk shows, and building relationships with new clients and vendors. Please come and celebrate with us and thank you for an amazing year! 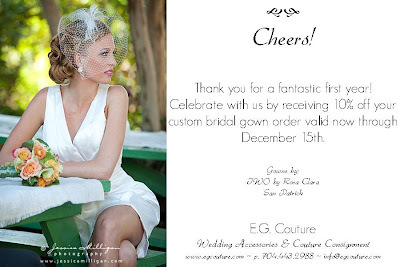 E. G. Couture is a boutique specializing in unique and customizable items for the entire wedding party. Our collections include ring bearer pillows, flower baskets, sashes and hair pieces that are handmade from artists around the country. These one of a kind accessories are not available anywhere in North Carolina except at E. G. Couture! In addition we carry wedding accessories for your wedding reception to include cake toppers, cake cutters and champagne flutes. For the bride we carry couture bridal gowns that are either brand new or gently worn. 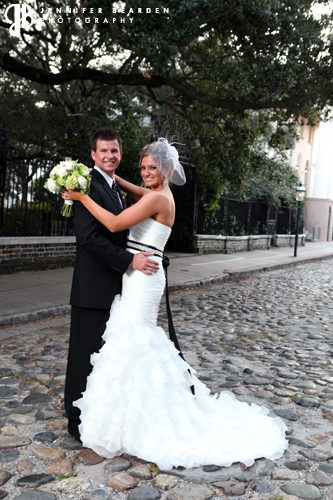 Today's bride won't have to comprise to have the elegant and timeless gown she deserves. Appointments are preferred on Saturday for bridal gown try-ons. 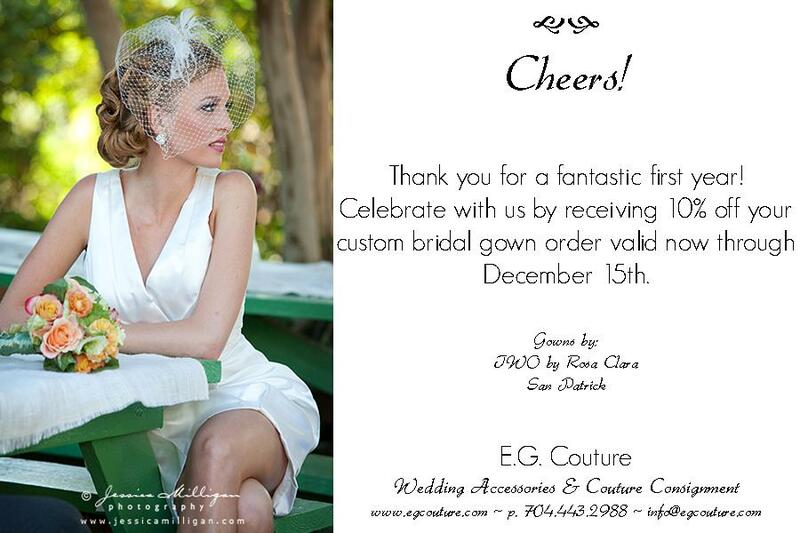 We can't wait to help you complete your look for your wedding day!